Subspecialty training in psychiatry has been increasingly recognized by a variety of entities, including universities, insurance companies, patients, and diverse medical entities. Given the grave shortage of psychiatrists and the increasing number of mid-level, nonphysician mental health specialists, psychiatrists are increasingly used for more difficult patient care situations and for supervision of other mental health specialists. Additional fellowship subspecialty training will prepare psychiatrists to deal successfully with the most challenging patient scenarios for which they are more likely to be consulted. Forensic psychiatry and consultation-liaison (CL) psychiatry are both well-established psychiatry subspecialties with distinguished evolutional histories and recognized Accredited Council for Graduate Medical Education (ACGME)-approved fellowship training programs. Both subspecialties train psychiatrists for the most difficult patient scenarios: forensic psychiatry prepares for the navigation of medical/psychiatric legal issues, and CL psychiatry prepares for successfully managing patients with complex medical and psychiatric conditions. This article presents the “nuts and bolts” of forensic psychiatry and CL psychiatry fellowship training. Because forensic psychiatry experts do not treat evaluees, the evaluees' medical insurance cannot be billed for these expert services as no medical treatment services are rendered.1 Forensic experts are not part of treatment teams. Therefore, to view evaluees' medical or psychiatric records, forensic experts require evaluees' signed medical releases. Forensic experts typically have set fee schedules for services that are shared upfront with retaining entities. Such fee schedules usually list hourly rates for forensic services rendered, including the interview/examination of the evaluee, record review, collateral interviews, conference discussion time with the retaining entity, report preparation time, and preparing and appearing for depositions or courtroom testimony. Given that in civil, criminal legal, or administrative settings all involved parties have something to lose or gain and malingering is often a concern, forensic psychiatrists must spend rather significant amounts of time reviewing collateral sources of information.2,4 Such collateral sources usually include review of medical, psychiatric, school, and police records and multiple interviews of other informants, including witnesses and family members. 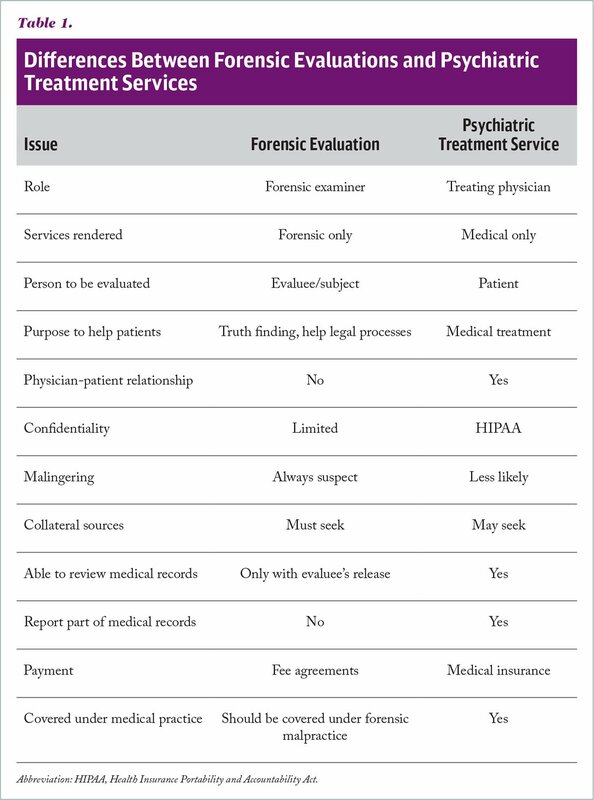 Table 1 summarizes the differences between forensic evaluations and psychiatric treatment services. The history of forensic psychiatry, which originated in the 18th century, is the history of the interception of enduring legal and social challenges of establishing competency and criminal responsibility as well as the professional development of medicine and psychiatry.10 As medical theories evolved, legal ones did as well. Mental illness, once defined in moral and religious terms, changed to an understanding of a treatable illness.11 With the establishment of asylums for psychiatric disorders, accountability changed from family guardianship to the state. The ancient Greek philosopher Plato saw the human mind divided between the rational and irrational and stated that those who choose to commit a crime “with some degree of calculation” should receive more severe punishment.10 Plato's famous disciple, Aristotle, recognized the importance of knowledge in the imputation of criminal responsibility and stated, “A person is morally responsible if, with knowledge of the circumstances and in the absence of external compulsion, he deliberately chooses to commit a specific act.”10 English law defined that the following two components had to be present to constitute a crime: (1) a forbidden act (actus reus) and (2) a guilty mind (mens rea). In the 18th century, different legal tests began to emerge through English criminal courts to determine insanity in criminal defendants.10 A rule that has been maintained by most American jurisdictions until today, is derived from the M'Naghten's case of 1843, in which the English appellate court established that for an insanity defense “It must be clearly proved that, at the time of committing of the act, the party accused was [laboring] under such a defect of reason, from disease of the mind, as not to know the nature and quality of the act he was doing, or, if he did know it, that he did not know what he was doing was wrong.”10 In the beginning of the history of forensic psychiatry, there was no psychiatric courtroom testimony. The first recorded psychiatric testimony was in 1760.10 Legal authorities have since recognized that forensic psychiatric expertise is indispensable. Today, forensic psychiatry experts render opinions and aid legal processes in a large variety of civil and criminal legal scenarios. Forensic psychiatry was first officially recognized as a subspecialty by the American Board of Psychiatry and Neurology (a member of the American Board of Medical Specialties) in 1992 under the designation of “Added Qualification in Forensic Psychiatry.”12 The first examination for “Added Qualifications in Forensic Psychiatry” was given in 1994.13 In 1997, the certification name was changed to “certification in the subspecialty of forensic psychiatry.” The 1999 examination was the last one that did not require that the applicant had completed a forensic psychiatry fellowship. Since 2001, the completion of a fellowship has been required.13 Psychiatrists can apply to forensic fellowships after completion of a 4-year psychiatry residency program. After completion of a fellowship and passing general psychiatry boards, psychiatrists can then apply to take the forensic board examination and become board-certified forensic psychiatrists (Figure 1). Requirements to become a board-certified forensic psychiatrist. ACGME, Accredited Council for Graduate Medical Education. There are significant advantages of training in forensic psychiatry because it has applicability to general psychiatry and other medical disciplines. In day-to-day psychiatric practice, forensically trained psychiatrists benefit from more expertise and experience with legal psychiatric matters, such as involuntary commitment, guardianship, right to refuse treatment, and more. Forensic psychiatrists also possess additional training and skills in risk assessments, such as for violence. From experience in correctional settings, they also learn how to handle the most difficult and often the most advanced psychiatric patient care scenarios. In addition, psychiatrists in forensic training acquire an additional skill set in performing medical-legal expert work, which is usually not learned otherwise in psychiatry training. Expert fees from psychiatric-legal work can be quite lucrative, typically ranging from $250 to $500 per hour, with fees up to $800 to $1,000 per hour charged by some experts. In addition, work as an expert witness allows for flexible work hours, and most of the work effort can be completed from home. Forensic psychiatrists are more competitive in the job market due to their possession of additional professional skills and additional income-earning capacity for their employers. Forensic psychiatry has experienced enormous growth in recent years. Although the competency to stand trial evaluation still remains the most commonly performed type of forensic evaluation, forensic evaluations have evolved and differentiated into a rather expanded list of different evaluation types. Much like in forensic psychiatry's past history, this development occurred in response to today's different legal scenarios with new questions posed by the legal community to forensic psychiatrists, who have risen to the challenge and advanced their examination skills. Today's forensic psychiatrist must be able to perform a greater variety of examinations, ranging from common types such as competency and sanity evaluations to evaluations opining on microaggression, cyberbullying, or “sexting.” As legal questions continue to evolve and change, forensic psychiatry must continue to evolve alongside the legal system. CL psychiatry is a psychiatric subspecialty that serves as an important interface between psychiatry and medicine.18,19 The terms “CL psychiatry,” “psychosomatic medicine,” and “psychiatry for the medically ill” have been used to describe the practice and philosophical premise of the area of psychiatry that interfaces with general medical conditions from theories about etiology, prevention, course, and outcome.18 Patients are seen in consultation only at the request of another physician.18,19 In the consulting role, psychiatrists are expected to review patient records and evaluate patients to render a diagnosis and treatment plan.18,19 The CL psychiatrist plays a critical role in bridging the gap between psychiatry and medicine as well as keeps a keen eye on the importance of the psychosocial context. The CL psychiatrist plays an important and vital role in integrated health care with an overall positive impact toward reduced morbidity and mortality. In addition to serving in the consultant role, the liaison role of the CL psychiatrist is of paramount importance. The psychiatric liaison plays a valuable role in the application of psychiatric knowledge and communication with other caregivers to better understand their patients and their dispositions, whether psychiatric or medical.19 To reduce psychiatric stigma, the CL psychiatrist serves as both an advocate and educator about mental illness and also has to be keenly aware of organizational systems in place to ensure patient safety. Indeed, there are times when mental illness is overlooked or lost in complex medical conditions. The contrary is also true—namely, that medical conditions can be lost in the wake of neuropsychiatric sequelae that are common in many illnesses, such as delirium, dementia, and traumatic brain injury. The CL psychiatrist's challenge is to be able to inform and educate other medical specialties about the presence or absence of mental illness and its degree of manifestation and advise accordingly. CL psychiatry can trace its origins back to Dr. Benjamin Rush, the father of American psychiatry. Rush had a great interest in the integration of medicine with the soul.20 The first designated liaison service was at Albany Hospital (New York), and the forerunner for medicine-psychiatry units was designated in 1902.20 From the 1920s through the 1950s various hospitals developed models for the delivery of CL services, initially focusing on specific psychodynamic concepts that were thought to affect medical illness. The early psychodynamic/medical model eventually evolved into a broader biopsychosocial medical model. From just a few hospitals in the 1920s, more hospitals established services with teaching physicians, culminating with the expansion of CL services with special opportunities for medical students in the 1970s.20 At this point in history, formal CL fellowship programs were established. Requirements to become a board-certified consutlation-liaison psychiatrist. ACGME, Accredited Council for Graduate Medical Education; CL, consultation-liaison. CL fellowship training conveys numerous advantages. It provides a breadth of experience through exposure to a variety of medical settings, both inpatient and outpatient, and allows the psychiatrist to build expertise through training with leaders in the field. Fellowship training also allows the psychiatrist to become increasingly capable in performing CL-related specialized assessments, such as decision-making capacity, candidacy for transplantation, suicide risk assessments in medical settings, and atypical psychiatric presentations of medical illness.18 Finally, fellowship training also allows for important, often lifelong mentorship relationships and an opportunity to develop and hone academic interests and expand skills in teaching and research. CL fellowship-trained psychiatrists are best prepared to work with the most medically and psychiatrically ill patients in inpatient and outpatient settings. This translates to significant job market advantages, particularly as health systems are now shifting from fee for service to bundled payment models and as physicians are seeking more hospital-based employment. CL psychiatrists add value to health systems through effectively treating comorbid psychiatric illness, which improves medical outcomes and lowers overall health care costs. Thus, medical teams are better able to recognize psychiatric treatment contributions by psychiatrists trained in CL. Backed by a strong base of research demonstrating the efficacy and cost-effectiveness of collaborative or integrated interventions in improving outcomes in primary and specialty medical care settings, the future of CL psychiatry remains bright.24–27 Integrated care will likely see broader implementation, presenting significant opportunities for CL psychiatrists to influence system design and benefit individual patients and populations. Psychosocial care co-located in medical settings is becoming increasingly common, and CL psychiatrists have the specialized training to treat psychiatric illness in the setting of significant medical comorbidity. Cancer care provides an excellent example of this trend, in which assessing and addressing psychosocial needs is considered standard of care.28 CL psychiatrists are a natural fit to provide integrated services, with opportunities likely increasing over time due to an aging population and increased burden of chronic disease. In hospital settings, where untreated psychiatric illness leads to higher costs and greater morbidity,29 CL services are cost-effective and reduce length of stay.30 The demand for CL psychiatrists will likely increase across inpatient settings as health systems shift away from fee for service toward value-based and bundled payment models. Likewise, increased case identification through broader systematic screening of medical inpatients for depression, delirium, and substance abuse will likely lead to an increase in referrals to CL services. In his 2017 address to the American Psychosomatic Society (now the Academy of Consult-Liaison Psychiatry), Dr. Christoph Herrmann-Lingen expressed a vision that the Society “can become a hub linking psychological affect science and neuroscience with behavioral and biologic medicine and health care.”31 CL psychiatrists are well-positioned to be leaders in these efforts, shaping research, system design, and patient care. Forensic psychiatry and CL psychiatry fellowship training programs allow psychiatrists to acquire additional skills and additional job market value in medical/psychiatric legal scenarios and complex patient care scenarios with psychiatric and medical illnesses, respectively. Both ACGME-approved fellowship programs require the completion of a 4-year psychiatry residency training program, have a duration of 1 year, and offer subspecialty board-certification on successful completion. Weinstock R, Leong GB, Piel JL, William CD. Defining forensic psychiatry: roles and responsibilities. In: Rosner R, Scott CL, eds. Principles and Practice of Forensic Psychiatry. 3rd ed. Boca Raton, FL: CRC Press Taylor & Francis Group; 2017:3–6. American Academy of Psychiatry and the Law. About AAPL. https://www.aapl.org/organization. Accessed October 18, 2018. American Academy of Psychiatry and the Law. Ethics guidelines for the practice of forensic psychiatry. https://www.aapl.org/ethics-guidelines. Accessed October 9, 2018. Appelbaum KL. Practicing psychiatry in a correctional culture. In: Scott CL, ed. Textbook of Correctional Mental Health. 2nd ed. Washington, DC: American Psychiatric Publishing; 2010:91–118. Rosner R. A conceptional framework for forensic psychiatry. In: Rosner R, Scott CL, eds, Principles and Practice of Forensic Psychiatry. 3rd ed. Boca Raton, FL: CRC Press Taylor & Francis Group; 2017:7–14. Thompson C. A seat at the table. Am Acad Psychiatry Law Newsletter. 2018;43(1):4,24. Prosona MT. History of forensic psychiatry. In: Rosner R, Scott CL, eds. Principles and Practice of Forensic Psychiatry. 3rd ed. Boca Raton, FL: CRC Press Taylor & Francis Group; 2017:15–32. Prentice SE. A history of subspecialization in forensic psychiatry. Bull Am Acad Psychiatry Law. 1995;23(2):195–203. American Academy of Psychiatry and the Law. ABPN certification in the subspecialty of forensic psychiatry. https://www.aapl.org/abpn-certification. Accessed October 9, 2018. American Academy of Psychiatry and the Law. Directory of forensic psychiatry fellowships, 2018 for fellowships beginning July 1, 2019. https://www.aapl.org/fellowship. Accessed October 9, 2018. Accreditation Council for Graduate Medical Education. ACGME program requirements for graduate medical education in forensic psychiatry. https://www.acgme.org/Portals/0/PFAssets/ProgramRequirements/406_forensic_psych_2017-07-01.pdf?ver=2017-05-03-161027-783. Accessed October 9, 2018. American Academy of Psychiatry and the Law. Meetings. https://www.aapl.org/meetings. Accessed October 18, 2018. Rappeport JR. The present and future of forensic psychiatry. J Am Acad Psychiatry Law. 2005;33:263–264. Stern TA, Freudenreich O, Smith FA, Fricchione GL, Rosenbaum JF, eds. Massachusetts General Hospital Handbook of General Hospital Psychiatry. 7th ed. Amsterdam, the Netherlands: Elsevier; 2018. Kunkel E, Monti D, Thompson T. Consultation liaison and administration of a consultation-liaison psychiatry service. In: Wise MG, Rundell JR, eds. Textbook of Consultation-Liaison Psychiatry. Psychiatry in the Medically Ill. 2nd ed. Washington, DC: American Psychiatric Publishing; 2002:13–21. Accreditation Council for Graduate Medical Education. ACGME program requirements for graduate medical education in consultation-liaison psychiatry (subspecialty of psychiatry). https://www.acgme.org/Portals/0/PFAssets/ProgramRequirements/409Consultation-LiaisonPsychiatry1YR2018.pdf?ver=2018-06-19-123817-060. Accessed October 18, 2018. Accreditation Council for Graduate Medical Education. Consultation-liaison psychiatry programs. Academic Year 2018–2019. https://apps.acgme.org/ads/Public/Reports/ReportRun?ReportId=1&CurrentYear=2017&SpecialtyCode=409&IncludePreAccreditation=false. Accessed October 9, 2018. American Board of Psychiatry and Neurology, Inc. Deadlines, fees and content for initial certification in psychosomatic medicine initial certification in consultation liaison psychiatry. https://www.abpn.com/become-certified/taking-a-subspecialty-exam/psychosomatic-medicine/. Accessed October 9, 2018. National Comprehensive Cancer Network. NCCN Clinical Practice Guidelines in Oncology. Distress management. http://oncolife.com.ua/doc/nccn/Distress_Management.pdf. Accessed April 12, 2018. Britta Ostermeyer, MD, MBA, FAPA, is a Professor, and the Chairman and the Paul and Ruth Jonas Chair in Mental Health, Department of Psychiatry and Behavioral Sciences. Jedidiah Perdue, MD, MPH, is an Assistant Professor, Department of Psychiatry and Behavioral Sciences, and the Director, Mental Health, Stevenson Cancer Center. Johanna Keller, BS, is a third-year Medical Student. Charles H. Dukes, MD, FAPA, is a Clinical Assistant Professor, the Director of Psychiatry Residency Training Program, and the Director of Consultation Liaison Service, Department of Psychiatry and Behavioral Sciences. All authors are affiliated with the University of Oklahoma Health Sciences Center. Address correspondence to Britta Ostermeyer, MD, MBA, FAPA, Department of Psychiatry and Behavioral Sciences, University of Oklahoma Health Sciences Center, P.O. Box 26901, WP3470, 920 Stanton L. Young Boulevard, Oklahoma City, OK 73126-0901; email: Britta-Ostermeyer@ouhsc.edu.